I went up to QSIS yesterday morning to help Andreas’s students with their senior papers. I counted thirty dogs on my two-block walk from the bus stop to the campus. 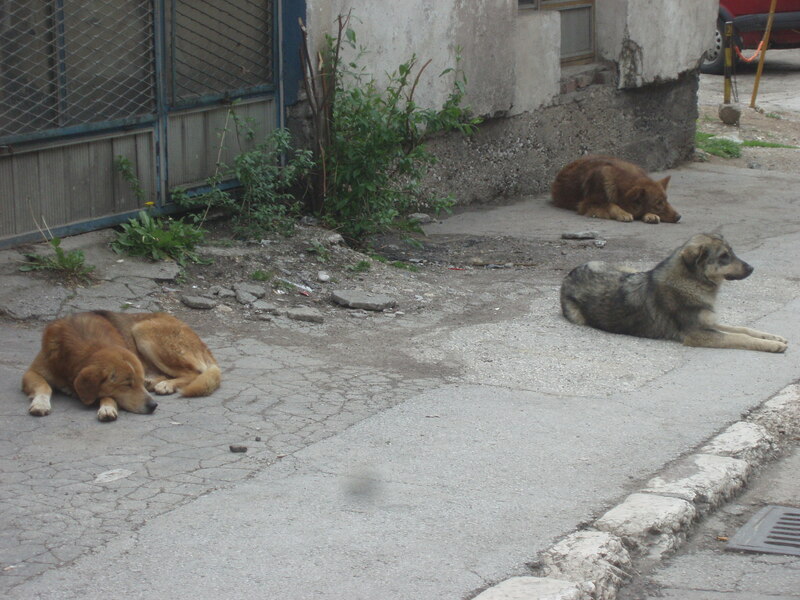 There were already some stray dogs in Sarajevo before the war. But during the siege, hundreds – perhaps thousands – of pets joined their ranks when homes were destroyed, owners died, or families were unable to feed their animals. After 20 years, the stray dogs in the city have averaged out to a sort of generic type. Where there were probably all sorts of purebred shapes and sizes to begin with, natural selection has resulted in a medium to large shepherd-ish animal with longer, extra-thick fur. The dogs seem to find enough to eat in the unsecured trash bins and dumpsters around the city. If you look friendly they will sometimes come nosing around for a handout. I’ve seen diners at sidewalk cafes slip them a bite (no need to take that doggy bag all the way home), and some generous people have set up neighborhood feeding stations. 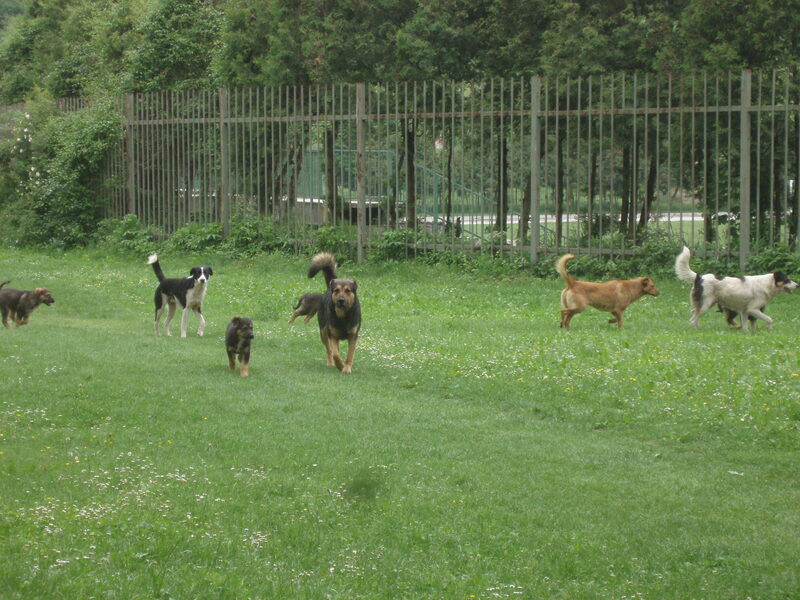 There’s one across the street from the international school, which explains the extra-high concentration of dogs there. I have not witnessed any dogs acting aggressively. Sometimes you see them running around in a group, gathering up their neighborhood buddies to go do dog stuff like chasing birds and digging in the trash. But mostly I just see them sleeping. But there are potential problems with all these dogs. Besides the mess they make with the trash, there is the serious issue of disease – they aren’t immunized, of course, so rabies is a concern – as well as the danger to livestock and humans when dogs run in packs. 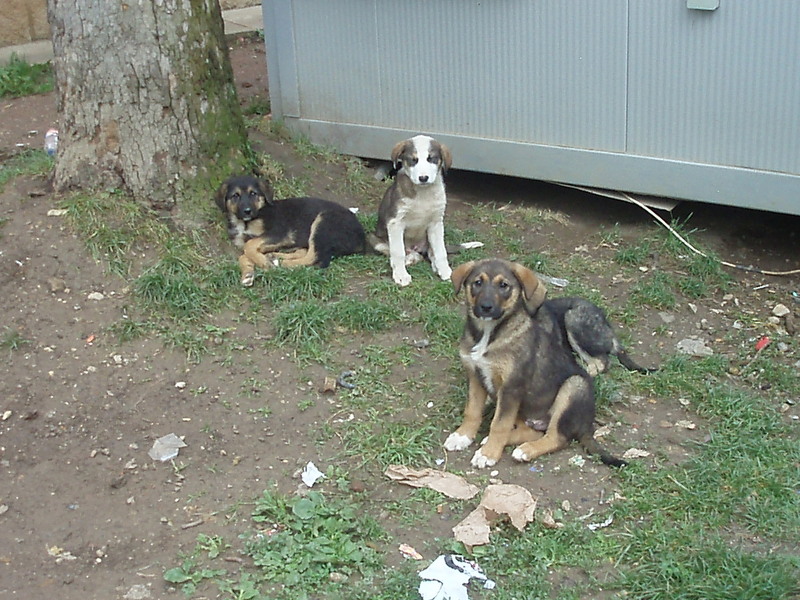 BiH has made some attempts to address the issue and at one time rounded up many dogs for euthanization. But there were enough left that their numbers grew again. Now BiH would like to join the EU. In order to comply with EU requirements, the government has enacted a law to establish shelters that do not practice euthenasia. But there are no funds allotted for this, so the program has yet to get off the ground. Elementary students at QSIS are running a dog food donation drive, but the teacher in charge had to send out an email last week asking parents if they knew of an animal shelter anywhere in the city. I don’t know if they found one. Dog shelters don’t sound like an ideal solution anyway. It’s hard to imagine many of these animals would ever be adopted. Many are not especially handsome, and of course they have zero house dog skills. In Sarajevo, as in cities in the west, small designer breeds are preferred. Furthermore, Mohammed wasn’t fond of the species (it seems he was more of a cat person) and the more devout believers here do not keep house dogs at all. I don’t know what the solution is, but I would think that an aggressive spay and neuter program could help. Anybody want me to bring them home a puppy? 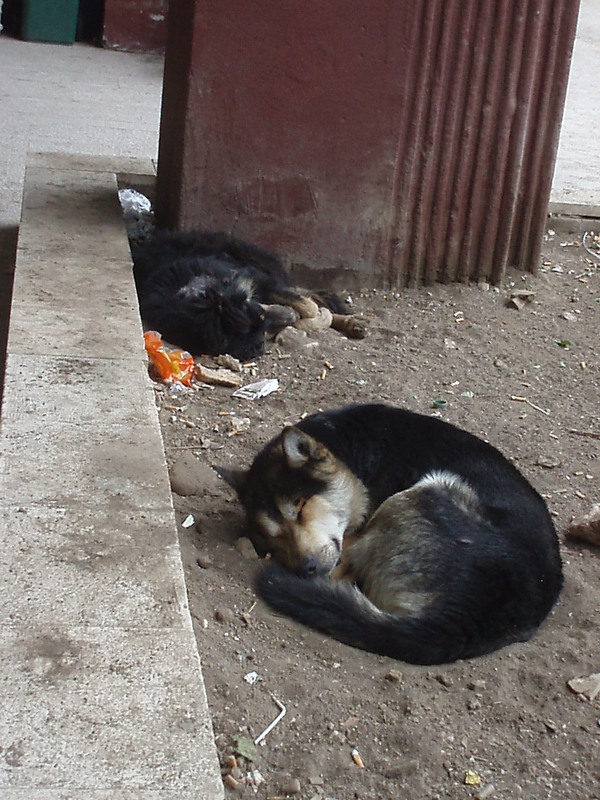 This entry was posted in Bosnia, Sarajevo and tagged dogs. Bookmark the permalink.